The Detroit Sinus Center is proud to be your premier choice when you’re looking for a sinus center in Allen Park, Dearborn, Southfield, and the entire Detroit metropolitan area. Our mission is to provide the highest quality of sinusitis care for our patients. To accomplish this, we’re committed to providing a large variety of treatment options in order to accommodate any and all needs that a patient may have. 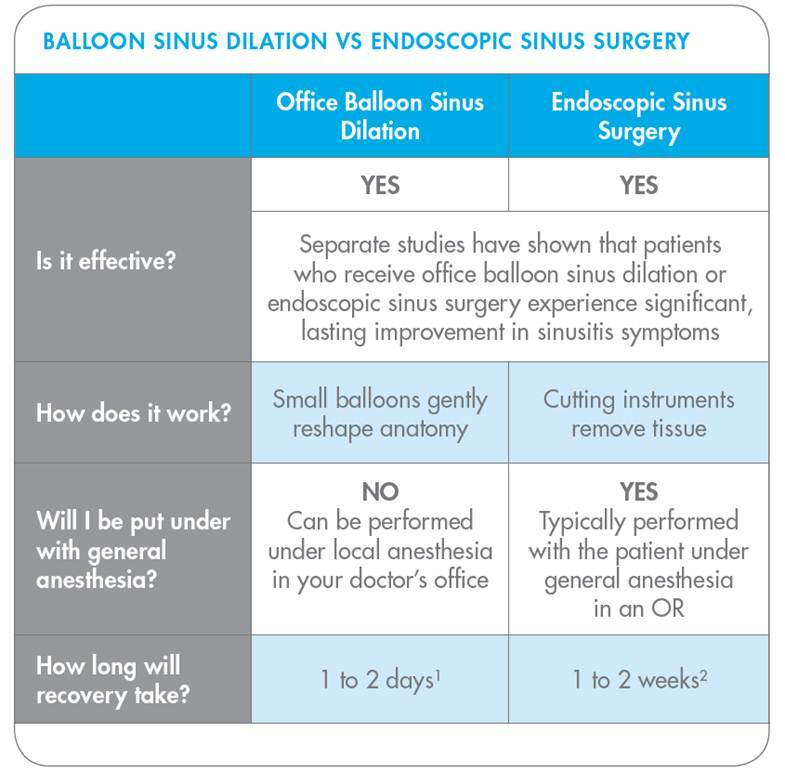 Balloon Sinus Dilation – This is an advanced treatment procedure that is safe, effective, and minimally invasive. It will expand the sinus pathways and also repair drainage problems in the nasal cavities. Balloon sinus dilation will allow you to have instant and lasting relief from any sinus pressure and pain. Endoscopic Sinus Surgery – This is another one of our advanced surgical procedures. This surgery is used to remove blockages in the sinuses. This treatment will help breathing and also relieve pain from your sinuses. Nasal Steroids – This spray can help relieve pain and pressure by decreasing the swelling in the mucous membrane lining. Antibiotics – Antibiotics are recommended if a sinus inflammation has developed into a bacterial infection. Decongestant Nasal Drops – These drops will reduce swelling and soothe the mucous membranes in order to ease breathing through the nose. Contact Your Local Allen Park and Southfield Sinus Doctor! If you would like to schedule an appointment with us, you can give us a call at (313) 449-8871 for our Allen Park office or (248) 327-3344 for our Southfield office. Please feel free to contact us if you have any questions or comments. We hope to have you feeling – and breathing – better as soon as possible!